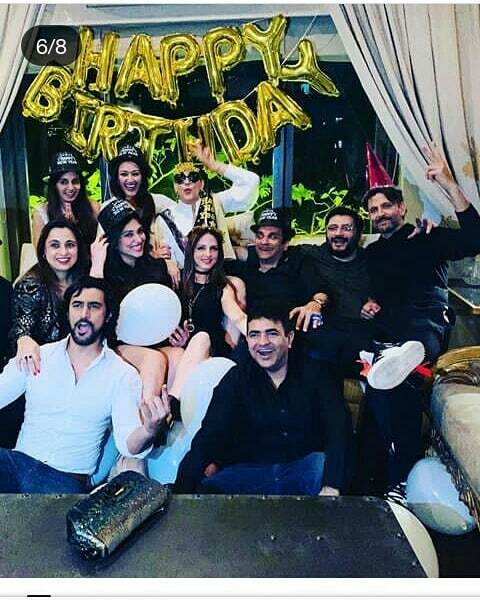 Sonali Bendre turned a year older on New Year's Day and the actress ringed in the occasion as well as the new year with husband Goldie Behl, family members and close friends. 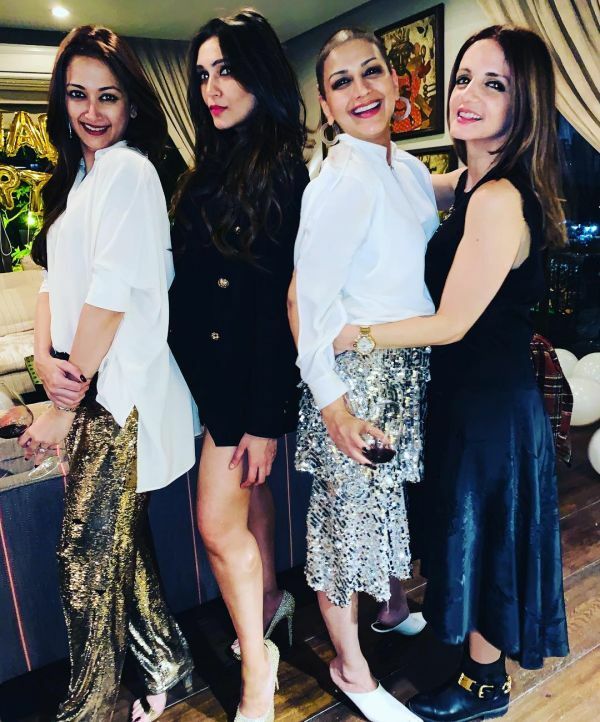 Goldie was joined by Sonali's girl gang - Sussanne Khan and Gayatri Oberoi, as well as Hrithik Roshan, Kunal Kapoor and wife Naina Bachchan. 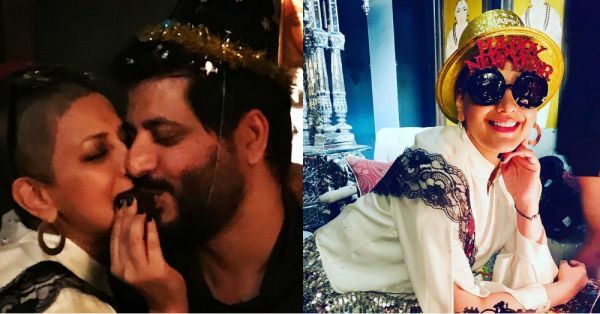 Earlier in the day, hubby Goldie Behl also shared an emotional note on his Instagram account wishing Sonali on her big day. 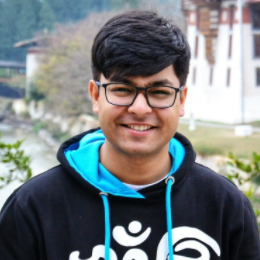 The film producer went on to say that Sonali was way more than just his best friend and his source of inspiration and strength. Goldie shard that Sonali had helped him find his strength and also imparted that same feeling to every soul who followed her life closely. "Thank you for being the person you are," he captioned the post. "On your special day, I wish you all things wonderful, all things love, all things that bring a cheer to you through the year." Meanwhile, BFF Sussanne Khan also wished her 'warrior princess' and shared a beautiful note for the actress on her Instagram. 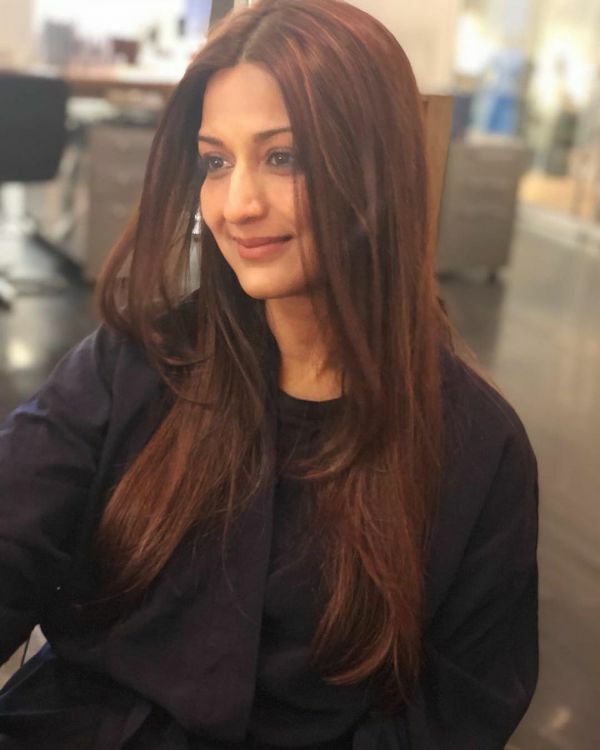 Sussanne called Sonali her 'inspiration and fireball' and wished that they all continue to motivate each other through all the ups and downs. Sonali had also shared a post, saying how thankful she was to her close ones who have stood by her. The Sarfarosh actress was reminiscing about the time when she had gone for her last blow-dry before cutting her hair short. "Throwback to my last blow-dry before I cut my hair," she wrote. "Now that my hair is gradually growing back.... Maybe I can look forward to another blow-dry in 2019!" For the midnight bash, Sonali was spotted with Hrithik and Kunal Kapoor at her Juhu home. The actress looked her quirky best for the celebrations. She also posed for a group photo with everyone later in the night. Sonali broke the news last July that she was diagnosed with a high-grade metastatic cancer. The actress then left for New York where she spent around six months getting treatment. She had been constantly updating her friends and fans alike with heartwarming posts on social media. The actress returned to Mumbai in December for a brief hiatus from her treatment to celebrate her birthday and the new year with her family.